Cheshire wants to share his passion of Commander with you, so to do that he is writing a series of articles based on different considerations, deck building guidelines and behaviour guidelines that you can use to make yourself a better member of the community, and a better player. These are THE COMMANDER FILES. Last time, on The Commander Files, we covered not being a bad human and being a better player in your community. So I’m going to assume you’ve read the previous article, good for you! We covered some pretty basic stuff, but I think now it’s time to take things to the next level and discuss a number of different staples you should consider when building your deck, why you’re choosing your commander and your colours. It’s true to a degree, your commander is your weapon, but it is usually only an extension of your body. Let me explain, a great martial artist will always say that a weapon is used as an extension to the body, but you fight USING that weapon, not it fighting for you. This is much the same with your Commander, it works WITH you, it works FOR you, but it is mostly an extension on what your deck (your “body”) is trying to do. This leads us BACK to the discussion about deck archetypes and making Commanders work with synergy over solo brute tactics. A prime example is building a deck around The Locust God as the ability to create a massive amount of 1/1 flying haste insects seems like a great idea, but you have to also bank on the fact that if your opponent kills it or wipes your board, that you have another plan to win the game. You have to build your deck to synergize well, but not always rely on your Commander. 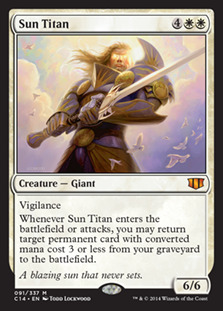 On a slightly different example, take a look at Sram (example deck from EDHREC), Sram, Senior Edificer is a great example of a “Voltron” Commander, but are you building solely around Sram, Senior Edificer, or are you building synergies with several different cards and creatures to ensure that no matter the plan, there is always a backup? 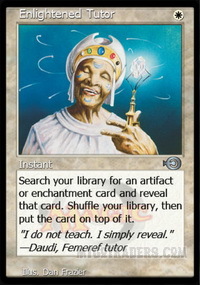 When you look at Sram, Senior Edificer decks, you will see cards like Platinum Angel so you can’t lose the game while she is on board or Sun Titan so you can get equipment and enchantments back from your discard pile, should Sram meet an “unfortunate” demise. This is a deck that is built on a “voltron” principle of trying to kill you with one massive unblockable un-killable machine, but has plenty of ways to getting spells back and protecting the kill, but plays plenty of other supporting creatures that can do just as much damage. WHAT DOES YOUR DECK DO? First up before you do anything, you should check out your Commander options and assess if you have the land base for that Commander. Lands are perhaps THE most important (and expensive) part of deck building and as much as I would love to go in deep about that, but fetch lands and buy the cheaper dual lands like Steam Vents. Next up, you have to decide what your deck will do, and how you will achieve that goal. Are you looking to mill your opponent’s out? Some sort of storm combo? 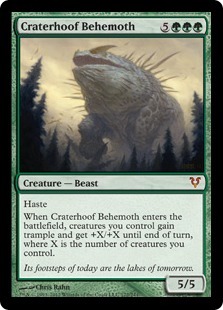 Maybe reanimator where you ditch big dumb creatures and put them back in to play? Well read on, as there are some staples you may want to consider! Every card game has “staple cards”, these are cards that are almost an auto-include when building a deck, depending on what your deck is looking to do. The assessment you can make here is fairly simple, does the card help you or your strategy in any way? Does it hinder your opponents in any way? Does the card go in almost ever deck you could make? Odds are you could say yes to a lot of these, but you’re looking for the cheapest costed card to maximise the efficiency of your overall strategy. For a single white mana, you can go searching for an Enchantment or Artifact and stash that on top of your deck and at instant speed, no less. 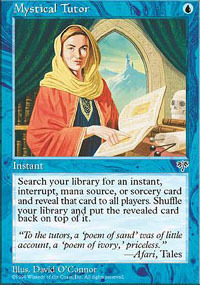 Tutors are incredibly important to most decks and this tutor is a slam dunk. 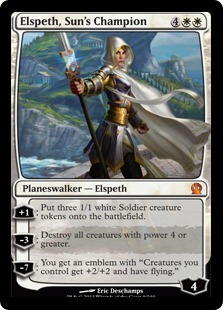 Especially when you’re trying to build a combo deck like Breya where you NEED that Phyrexian Altar or Ashnod’s Altar to combo off, this is a god send. Swords has been in the game for as long as I can remember, the power level is staggeringly high for very little downside. This instant is just amazing to deal with indestructible creatures. The downside here is me giving you life and potentially another turn to kill me, however I am dealing with, most likely, something like and likely making your board substantially worse. One of the most iconic board wipes in the game. We have a lot of wrath effects in the game, but this is the best cost and with the least downside. Wrath is also relatively cheap as it has been reprinted a BUNCH of times, making it both affordable and great for your commander collection. Her plus one net you three 1/1 soldier tokens and while this may not sound that amazing, it can really get you out of a bind by providing tokens for a “go wide” strategy or just a couple of little chump blockers. For negative three, she can wipe the board of any creatures with power four or greater, this can be done the turn she lands, making her a great staple for only six mana. Finally, her ultimate reads “you WIN! Flawless. Victory.” as her ultimate for negative seven gives all your creatures +2/+2 and flying, apply that to your tokens and you’re laughing to a flying kill. Also adding something like Elesh Norn for extra spice! Six mana for a 6/6 with vigilance would be bad if it weren’t for the “reanimation” effect of being able to fetch back target permanent of 3CMC or less from your discard pile when it either enters the battlefield or attacks. 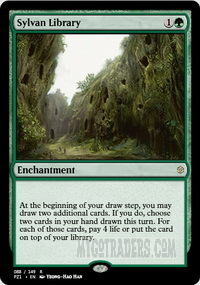 In this format, we have a HEAP of permanents of CMC3 or lower including Strip Mine and FETCH LANDS. Yes, lands are CMC3 or less. For a single black mana (seeing a pattern here? ), you can go searching for an Instant or Sorcery and stash that on top of your deck and at instant speed. These tutors for one mana are crazy, and with targets like Pact of Negation and use a card that draws you a card to get whatever you put on top straight to your hand. Sheoldred is a key card in a lot of black decks because of her amazing power, forcing opponents to sacrifice a creature for their upkeep. This combos really well with other creatures such as Yahenni. 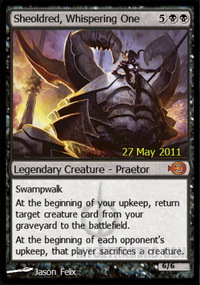 Not only that, she also has a built-in Reanimate, making her one of the best black creatures for commander. Why yes, black DOES have board wipes, and yes they have a hefty cost. 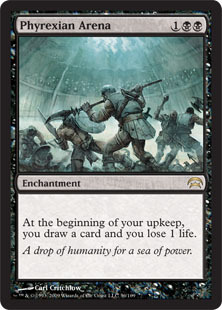 Toxic Deluge is a great card in commander, as the supplemental cost of paying life isn’t that bad when you have a starting life of forty. The fact that TD gives all creatures the minus to toughness is a big sell in commander, allowing you to take down massive threats such as Avacyn, Angel of Hope. 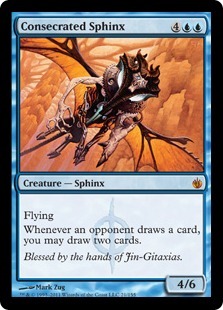 Those dang Phyrexians, I want to hate them SO MUCH, but they gave us so many great cards! 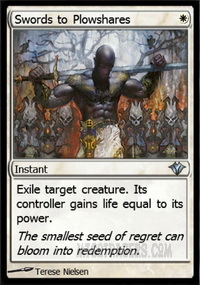 The drawing of an extra card is pretty big in commander and the cost of a single life a turn is really quite minimal in the grand scheme of things. You can play this as early as you want and there really isn’t much of a downside. A one-sided Howling Mine? Sign me up, I’m all in. 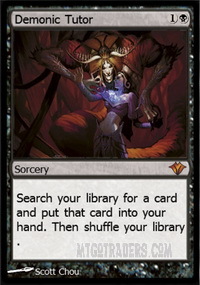 A tutor at sorcery sounds less efficient that Vampiric Tutor, but Demonic puts the card straight to your hand and only costs two mana. 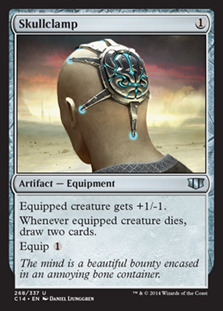 That’s a huge deal for Commander, it’s cheap and it nets you the card straight to your hand. For a single blue mana (seeing a pattern here? ), you can go searching for an Instant or Sorcery and stash that on top of your deck and at instant speed. These tutors for one mana are crazy, and with targets like Demonic Tutor, Pact of Negation and use a card that draws you a card to get whatever you put on top straight to your hand. I’m fairly sure that any blue player will tell you that Cyclonic Rift is the best board wipe in the game. 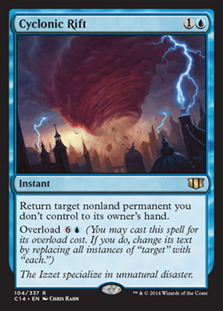 Rift is pretty much a modal card, pay the normal cost and bounce a single non-land permanent, pay the overload instead and bounce all your OPPONENT’S non-land permanents. That means you keep your board and negatively impact all of your opponents. 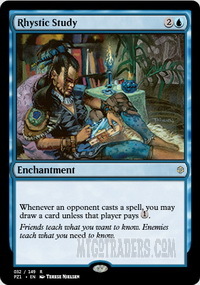 Long forgotten to time for a long time, study has become a staple in almost every deck that can use Blue. Each spell your opponent’s play nets you a card unless they pay one mana. Generally, your opponents will just LET you draw that card. after all, its only one card, right? She’s hip, she’s now, she’s WOW! And ahhh, persistent. GA is two Negate on a stick for a single blue mana each time. She lets you end counterspell wars, she lets you counter problematic spells when they are cast, and she’s a WIZARD, Harry! 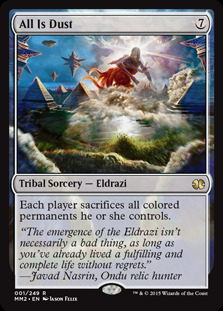 That’s right, all that value is crammed into a wizard for your wizard tribal decks! Even better, if you bounce her after you used her the first time (or maybe chuck a +1/+1 counter or flicker her) and you have a multi-use Negate on a stick. Tasty. Speaking of awesome creatures, Spinxy here is CRAZY about card draw and once you get it out on the board, you will be either drawing like MAD, or someone will kill it. Every time an opponent draws a card, you draw TWO cards. 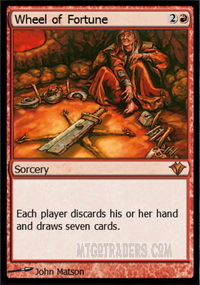 People do hate this card though as it is extremely powerful, so be aware that getting this out may make you a target. For a single red mana, you can go searching for any card and put it in your hand. the downside and people will argue this is a BIG downside (they’re wrong) you have to discard a card at random, and that is exactly the namesake of the card. If you have a full mit of cards, taking the Gamble is worth it. Overload this for five mana and you can just ruin an opponent’s day. 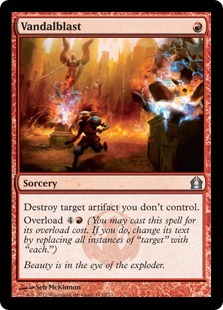 Vandalblast lets you smash all opponent’s artifacts, that means equipment, creatures, and artifact lands all go bye-bye. Chaos Warp can get around indestructible, it gets rid of problems like Dark Depths or some other overwhelmingly powerful card that you need to deal with right now. Red doesn’t have all the best ways to deal with all permanents, Chaos Warp solves that issue. 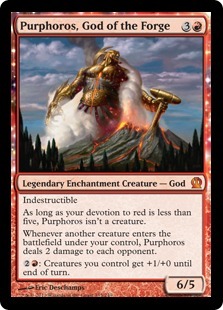 Oh man, Purphoros is just downright dirty in any deck. The best part is when you play a creature, he deals two damage to each opponent. Also, his CMC to stats ratio is really good, even though he requires devotion to be a creature. 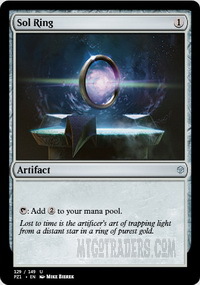 Drawing cards have always been a big part of Magic, Wheel (you may have heard the term “wheel” before) is possibly the best card in the whole game. There are so many cards that can abuse this such as Nekusar, the Mind Razer, it helps turn on Threshold cards, it can help so many strong effects or just simply reset everyone’s hands. This card is amazing at shutting down anything that can be targeted, and I mean ANYTHING. 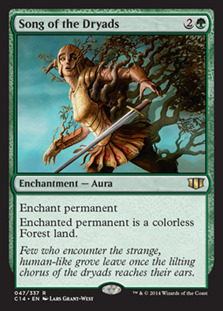 Thespin’s Stage can be shut down, commanders can be petrified into a wooden heap, even your opponent’s prized dual land(s) can be shut off and made into a lonely little Forest. 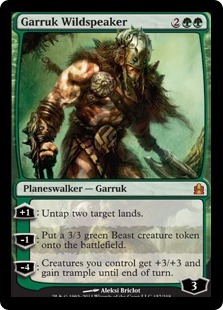 For minus one, he can untap two lands such as Ancient Tomb and Command Tower, his negative two creates your very own 3/3 green beast token and provides a little attacker or chump and his ultimate provides an Overrun effect for only four loyalty. That means the turn after you play him, he can mess your opponents up BIG time. 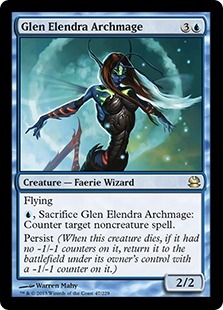 BoP, as they used to be known in my day, are the best mana producers in the game on a creature. BoP has seen many reprints, making the cost far less than it really should be. They tap to create one of any mana, thus making them the best mana fixer ever printed in the game and all for a single green mana. Also, flying blocker, just saying. What happens when you stick an enters the battlefield pump effect on a massive creature in a colour with the ability to play a thousand elves by turn four? 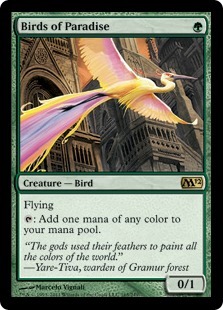 What about in a two colour tokens deck running Anointed Procession? You get a crazy win out of almost nowhere that no one saw coming. 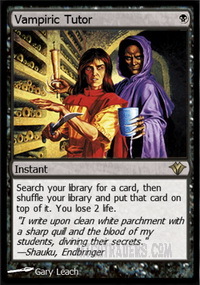 The card draw, if you’re desperate enough to pay the life for each card beyond the first, makes this one of the best enchantments and card advantage engines in the game. This can provide the gas, the engine, the way to win. On the other side, this card assists in fixing the top of your deck for really gross interactions such as Reason/Believe . “Greaves for two, equip for zero”, attack with my commander that now has haste and “you can’t touch this”. 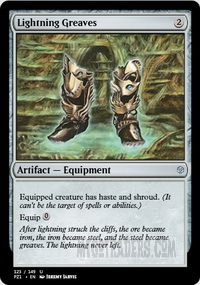 Greaves are great in any deck that runs creatures, it gives haste, protection and is an auto-include. I always hear people say that Soil Ring is “broken”. Because you can find ways to untap it, it only costs one mana and pumps out two for free and using things like Paradox Engine makes this card completely ridiculous. This is the best colourless board wipe, especially if you’re playing an all in artifact deck. The best thing is that it makes everyone sacrifice, not destroy. Ulamog won’t win you any friends, but he can permanently deal with two permanents when you cast him and then exiles cards from a player’s deck when he swings. This pretty much ensures those cards won’t be coming back and that’s just gravy. Want more ways to draw cards? chuck this bad boy in a deck with some token generators and go for gold or just equip it to a chump blocker for amazing trades. WE MADE IT, FAM! I could have very easily gone to ten for each colour, but these I feel are the must-have cards for your decks. Got any other suggestions? Let me know in the comments below!